Boon Island was named by the fishermen who, for many years left a barrel of food and clothing on the island every fall as a "boon" to any sailor who found himself shipwrecked on the lonely island. But the barrels rarely survived the first winter storm as the high point of the low rcky islet is only 14 feet above high water. 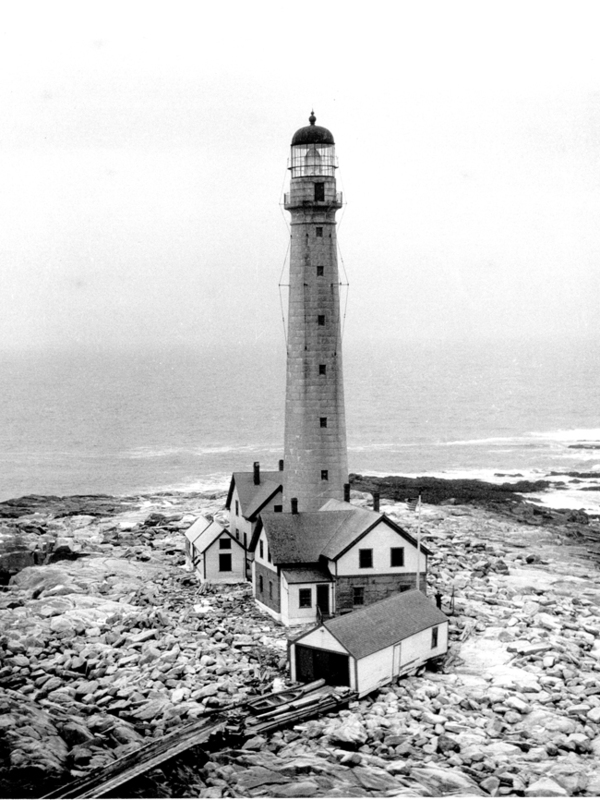 Boon Island lies 6-1/2 miles off the southern coast of Maine and about eight miles from York, the nearest port. The island measures 200 feet by 700 feet and is devoid of any vegetation. Although it is closer to shore than the other barren, low lying islands off the Maine coast, it stands directly in the path of vessels sailing south, making for Portsmouth, New Hampshire, which is precisely where the Nottingham Galley was headed that fateful day in December, 1710.